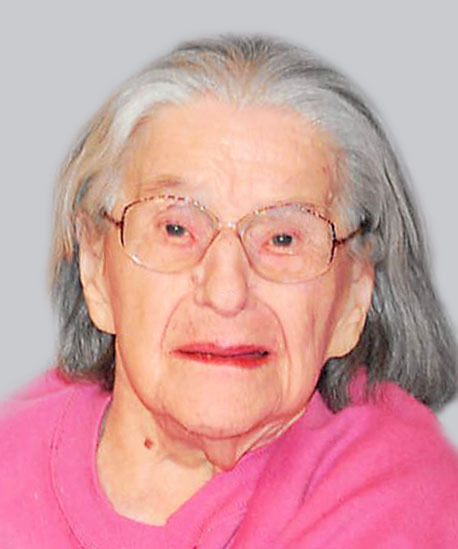 Obituary for Mary F. (Kowalski) Wrazin | Hamp Funeral Home, Inc.
Mary (nee Kowalski) Wrazin, age 102, of Tonawanda, died Friday, April 5, 2019 at the DeGraff Skilled Nursing Facility in North Tonawanda. Born November 4, 1916 in Philadelphia, Pennsylvania, she was the daughter of the late Anthony and Mary (nee Tutak) Kowalski. A resident of the Tonawandas for the greater part of her life, Mary had been a custodian at Cardinal O'Hara High School before retiring. She was a member of St. Francis of Assisi Parish and the Tonawanda Senior Citizens. She was the wife of the late Andrew S. Wrazin; mother of Walter A. Wrazin of Tonawanda and Stanley (Diane) Wrazin of North Tonawanda; grandmother of Scott Wrazin of Jacksonville, Florida, Michael Wrazin of North Tonawanda, Corey Wrazin of North Tonawanda, and Nicole Smoyer of Charlestown, South Carolina; great-grandmother of Leah Wrazin of Charlestown, South Carolina and Mckenzie Wrazin of Buffalo. Also surviving are nieces and nephews, including Timothy Wrazin of Tonawanda. There is no visitation. A Mass of Christian Burial will be celebrated at 10 AM Monday at St. Francis Chapel, 71 Adam Street, Tonawanda; the Rev. Michael Uebler officiating. Friends invited. Interment will be cared for privately at Mt. Olivet Cemetery, Town of Tonawanda.